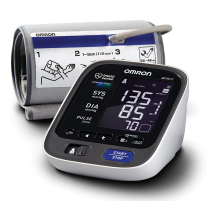 Single touch activation - place arm in cuff, hit Start and let the elecric-powered pump take care of the rest! 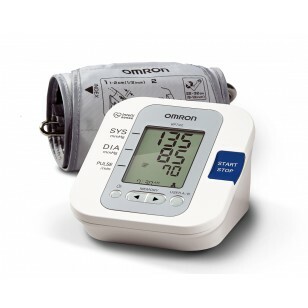 The Omron 5 Series upper arm blood pressure monitor is a quick and easy way to check your blood pressure at home. 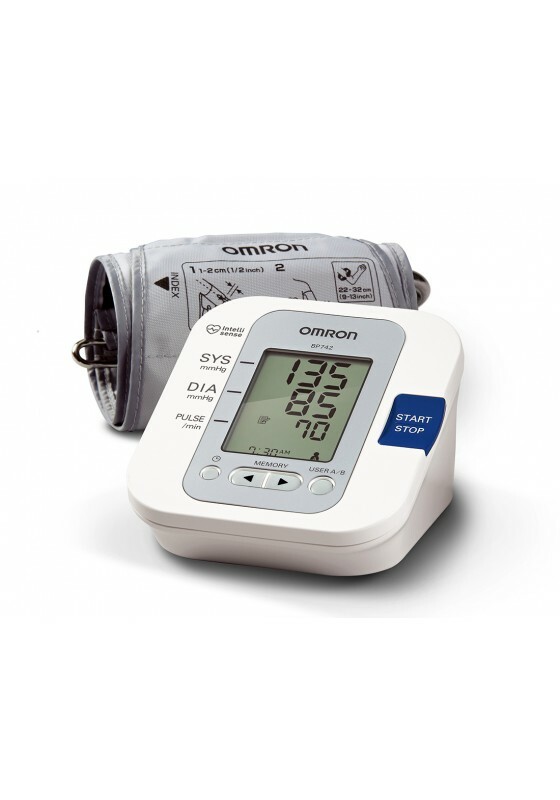 This model offers dual settings for two users, and can keep a history of its results for up to 60 readings, ensuring that you have reliable information for your heart health at your fingtertips. 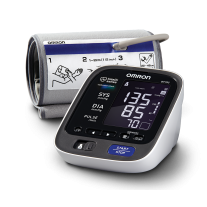 The unit displays the average of up to the last three readings taken within the last 10 minutes, and a built in hypertension indicator alerts you if your blood pressure reading exceeds internationally recognized guidelines for normal blood pressure levels. Two User Mode allows two users to monitor and track their readings separately in the stored memory. Irregular Heartbeat Detection - This monitor can detect irregular heartbeats while your blood pressure is being measured. If an irregular heartbeat is detected, an indicator icon will appear alerting you so you can consult with your medical professional. 60 Memory Storage - 30 memory storage for each person (60 total) with date and time stamp that allows you to review the last 30 readings with a touch of a button.